Phenomenal location for this well-appointed Colonial bathed in natural sunlight. 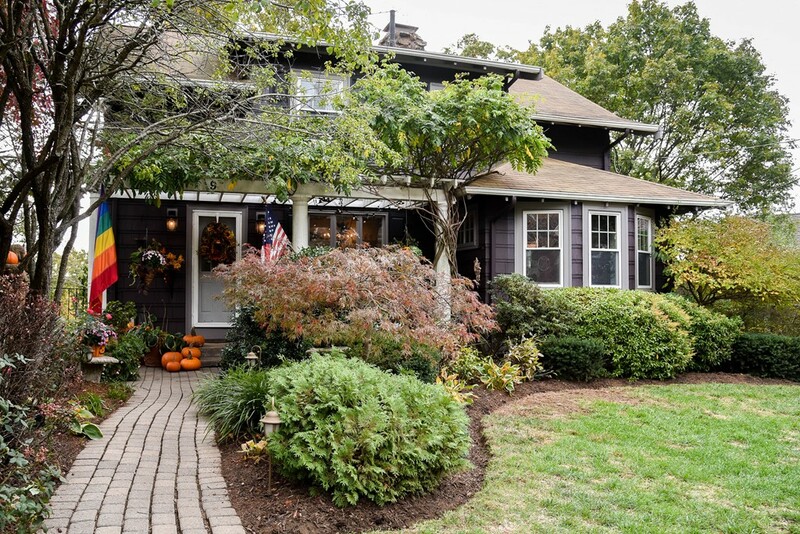 Sited within Sewall Woods in the Highlands, this home offers unparalleled privacy, gorgeous yard and lovely flow, making this a fabulous home for gatherings. The kitchen boasts a dining peninsula, stainless appliances, granite, & custom cabinetry, while the adjoining morning room could morph into a sitting room and features a bay window and period moldings. The living room is centered by the fireplace and the dining room is adorned by a chair rail and wainscoting, the rooms offering an open concept. The sunporch, illuminated by a ribbon of windows and providing a beautiful wooded view, is a perfect place to relax morning or evening as you chart the changing seasons. Three generous bedrooms and renovated full bath on the 2nd. The yard oasis offers room for play, respite and fun, from the deck to the bridge connecting the spaces. Walk to train, downtown, Fells and shops. This is an easy choice to make home!